Most people tend to think of London as being an ancient city full of history. Surprisingly, most of London is not really that old. Little remains from the Roman era, and a series of disasters (the Great Fire of 1666, German bombing during WWII, misguided attempts at modernization) has removed many of the landmarks and buildings that would have been familiar to London residents over the previous centuries. 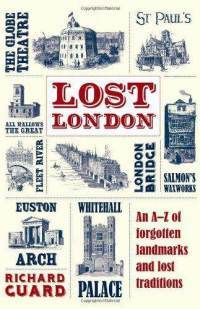 Lost London: An A-Z of Forgotten Landmarks and Lost Traditions by Richard Guard singles out some notable nearly forgotten aspects of London that have been lost to the march of time. There are buildings which have been lost, but also occupations, among them Crossing Sweepers, Death Hunters (early sensationalist journalists) and Dog Finders (although I have a feeling "dog-napping" might still be a lucrative, if not very popular, occupation!). The Frost Fairs, held on the ice on the rare occasions when the River Thames froze over, are also mentioned, along with the years, starting in 1150, when they were held. Some of the lost things are not missed, such as plague pits. It was interesting to read that still today when new construction is begun, excavations frequently turn up large numbers of human bones. Must make the life of the London construction worker a bit more lively than those who work elsewhere! The old horrific Fleet Prison, so vividly described by Charles Dickens, is also better off being relegated to the pages of history, as is the appropriately named Execution Dock. 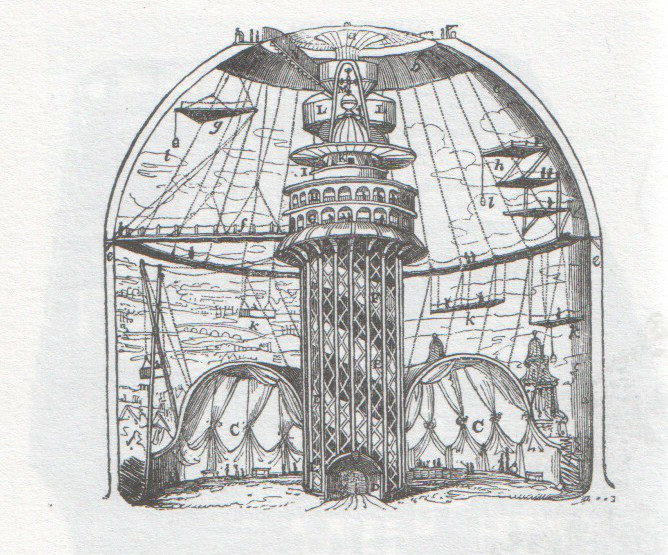 I would have liked to have seen some of the locations built strictly for entertainment, though. The Colosseum in Regents Park, described as having a dome larger than that of St. Paul's Cathedral, must have been a sight to see. The book is packed with many interesting facts and contains many beautiful black and white drawings which help to give the book a feeling of historical charm. All in all, this book gives the reader an appreciation of the older parts of London that managed to survive at all! Disclaimer: I received a free copy of Lost London from the publisher in exchange for this review.